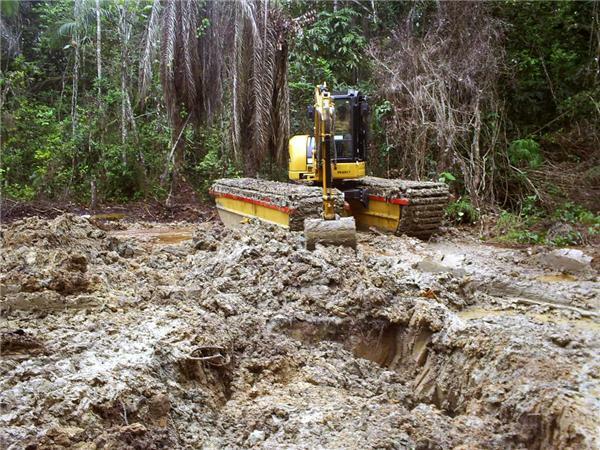 Marsh Equipment allows you perform heavy work in soft, flooded and unstable terrain. These images show a range of applications such as waterway maintenance, environmental cleanup, dredging, and forestry. Click on any picture to see a bigger version of the image. Wilson Marsh Buggy enters the water for a waterway cleanup project. 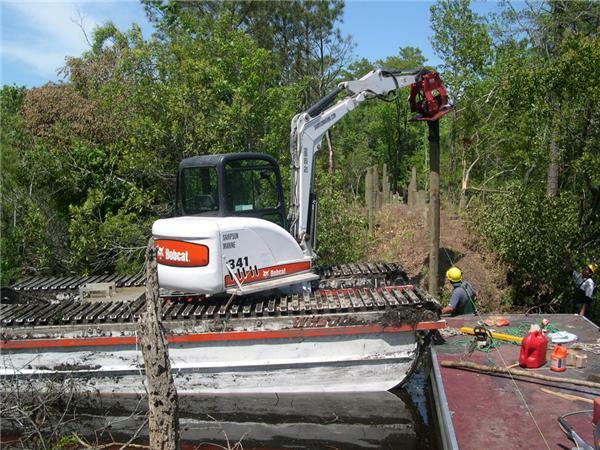 Marsh Excavator uses a vibrating attachment to drive pilings for a dock. Marsh Buggy and Slide Pontoon clear a waterway after a hurricane. 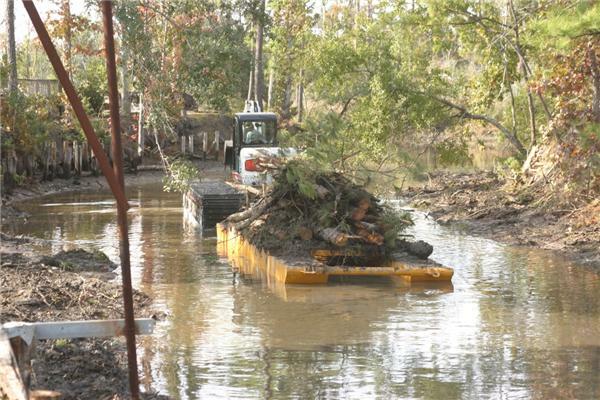 Wilson Marsh Buggy tows a slide pontoon loaded with tree debris and cuttings. 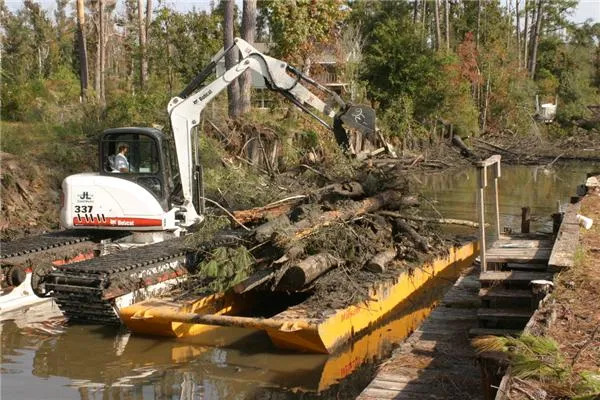 Wilson Amphibious Caterpillar Excavator maintains a waterway. 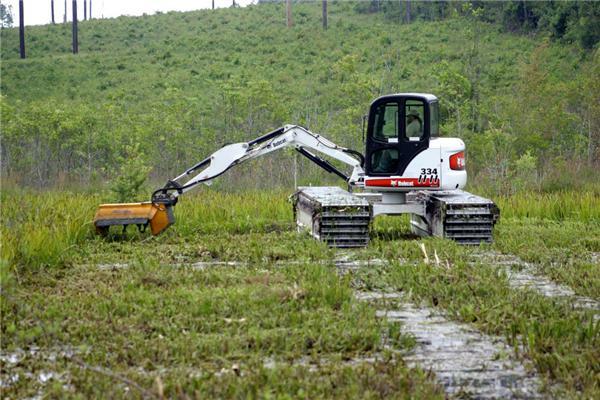 Marsh Buggy with a Brush Cutter attachment clears a right of way under powerlines. 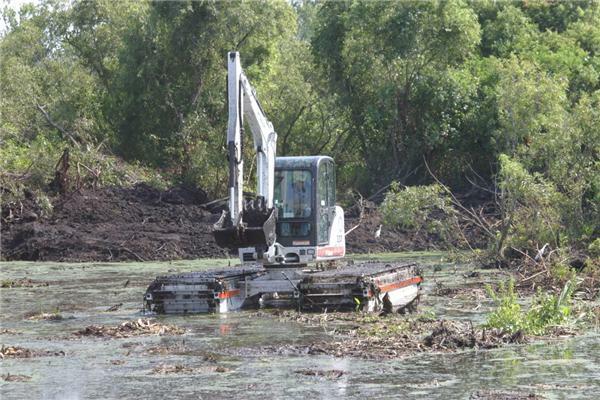 Marsh Excavator dredges and clears a waterway. 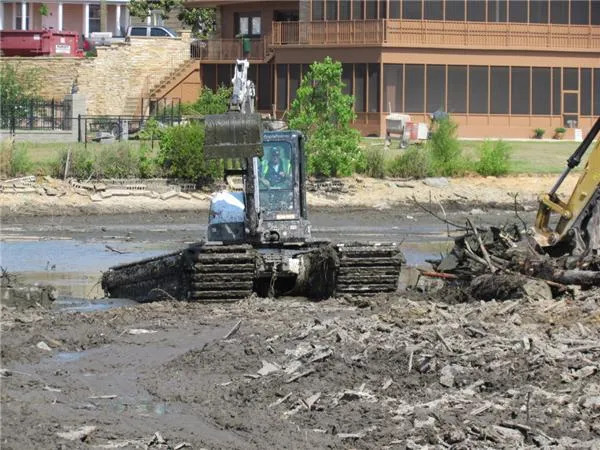 After a tornado in Tuscaloosa, AL this Wilson Marsh Buggy cleans the lake of debris. A Marsh Buggy works in soft, lake-bottom mud. 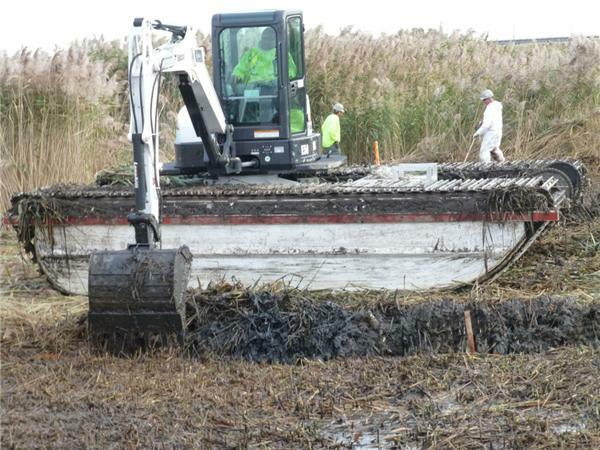 Men work alongside a Marsh Excavator on an environmental project. 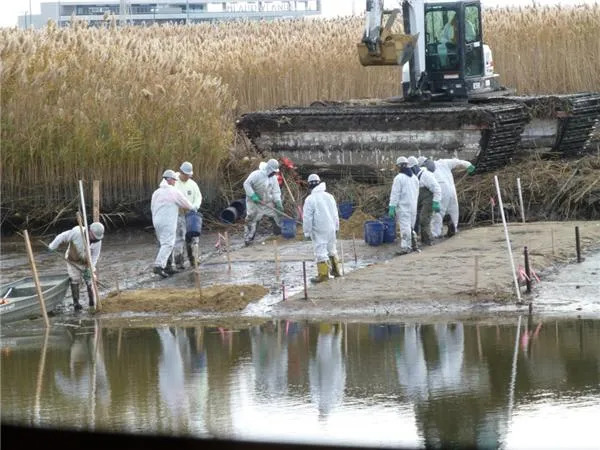 Environmental work: one of the primary applications of Marsh Equipment. 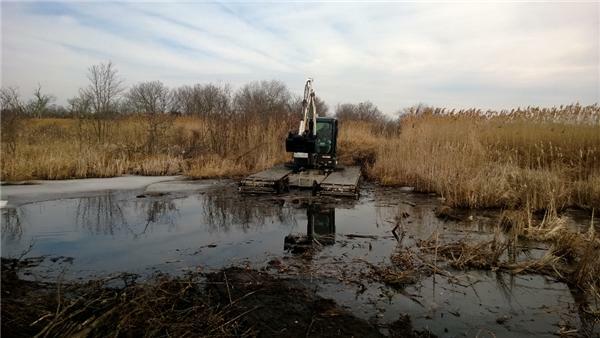 A Wilson Marsh Excavator moves easily from water to firmer ground. Wilson Marsh Buggy maintains a vital Marshland. Marsh Buggy supporting a Clamshell Bucket Dredging operation. Wilson Caterillar Marsh Buggy at work in an oil-field in Africa. 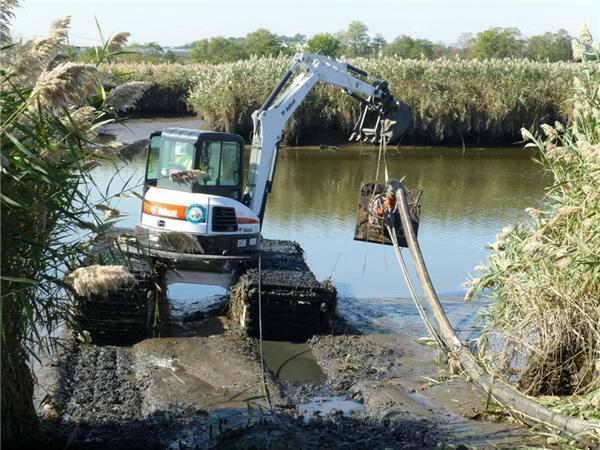 Wilson Marsh Excavator dredging a waterway. 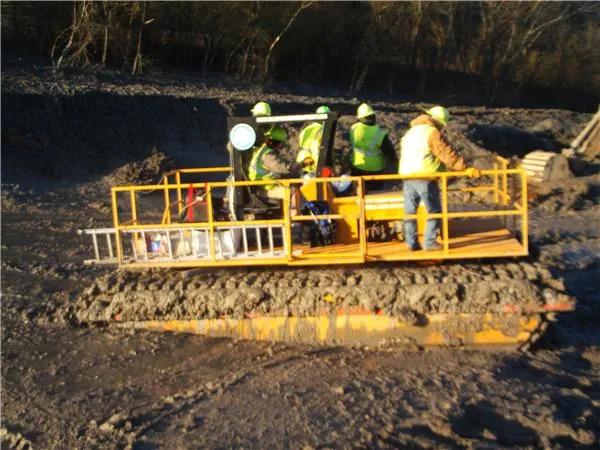 Wilson Cargo Buggy safely carries workmen through unstable terrain. 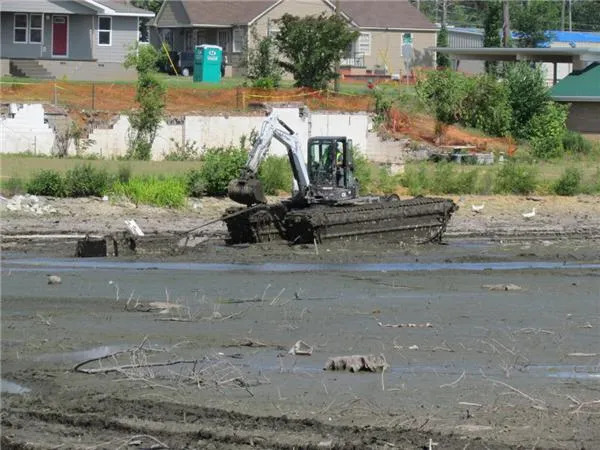 Wilson Marsh Excavator prepares a site for Levee (Earth Embankment) construction. Wilson Marsh Excavator fitted with a pipe shear is lifted into place. 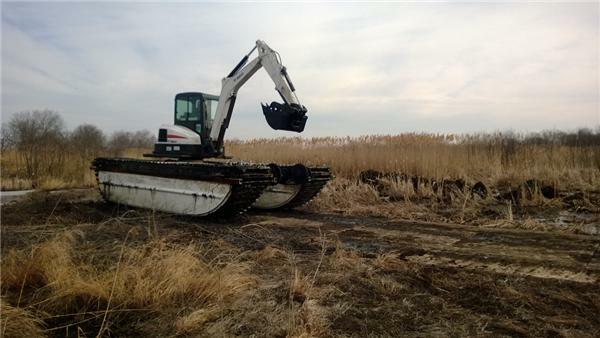 Wildlife & Fisheries use a Wilson Marsh Excavator to maintain waterfowl habitat. 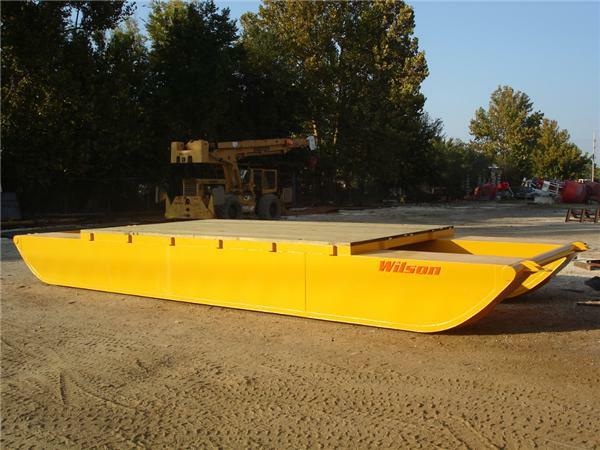 Slide Pontoons are essential for debris removal from soft, water-logged or unstable terrain.